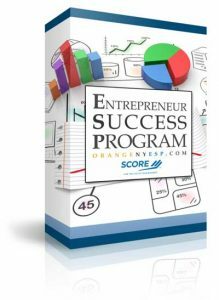 SCORE’s Entrepreneurial Success Program (“ESP”) was created by Edison Guzman and 8 other counselors of the Orange County SCORE Chapter #465. SCORE is comprised of over 11,000 volunteers and 340 Chapters nation-wide. The volunteers are experts in their field and have helped entrepreneurs create new businesses and grow them. The volunteers have provided in-depth assistance to minorities, women, veterans, dislocated workers and individuals with disabilities interested in starting or growing a business. SCORE establishes chapters in local communities to provide instruction, training, and support services to individuals who have already started their own business or are interested in starting a business. SCORE assists new and aspiring entrepreneurs in developing basic business management skills, refining business concepts, devising early-stage marketing plans and preparation of action plans. In addition, the program actively assists SCORE’s client efforts to obtain business financing. Our Entrepreneurial Business Course normally has been taught in the Orange County SCORE chapter for the past few years, and it is always audio recorded. If you’ve ever wanted to start a new business, or find ways to grow your business…this business planning course is perfect for you. Click here to learn more about the ESP online course. Sorry, we aren't online at the moment. Leave a message and a mentor will get back to you.